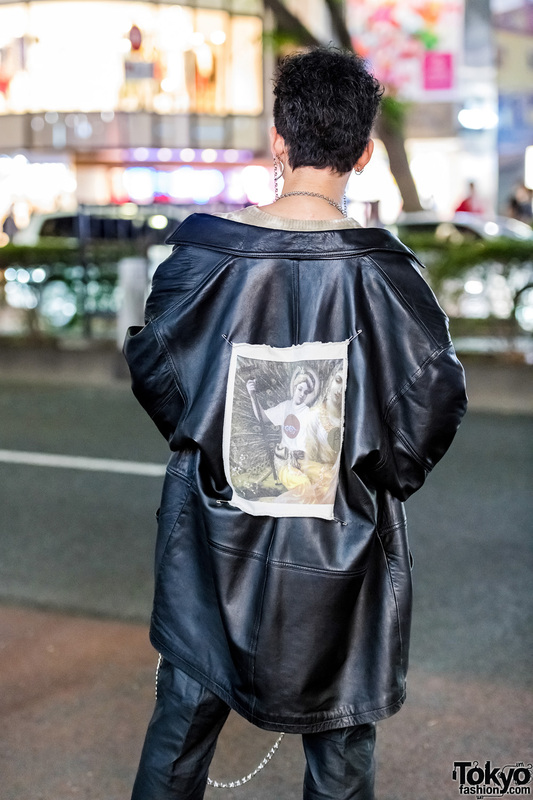 Here’s Eiji, whose edgy outfit caught our eye while strolling along the streets of Harajuku. The 16-year-old student donned a Boycott sleeveless crop top with a King Family long black leather coat. 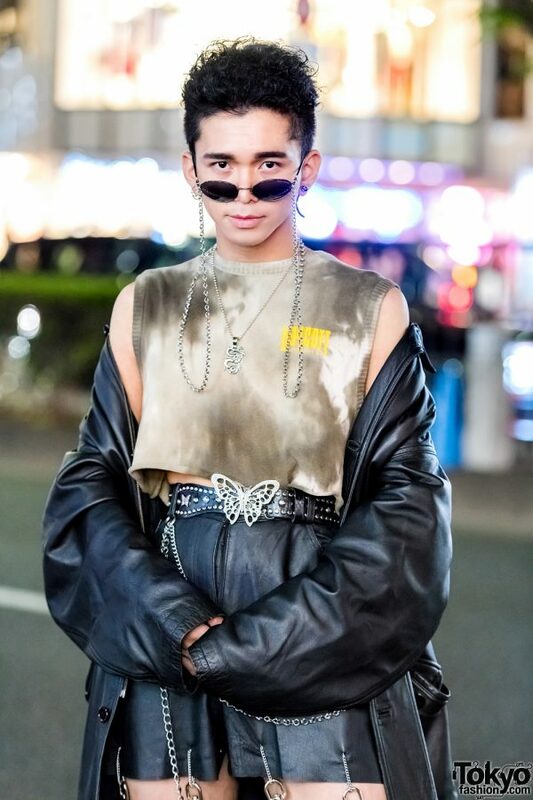 Eiji also wore handmade Kinji black leather pants with silver chains and a studded black leather belt with a silver butterfly buckle. 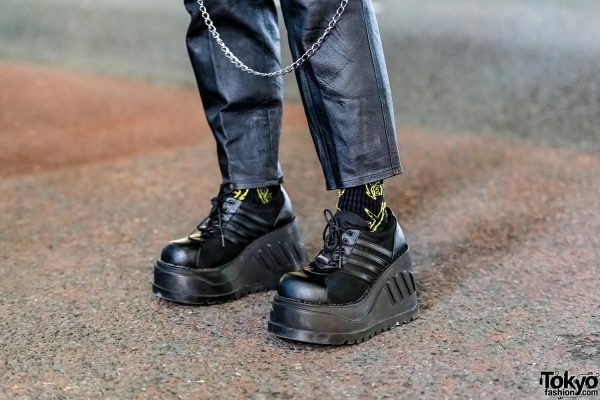 He styled his look with black-and-yellow socks, Demonia platform wedge sneakers, and a Mememi bag. 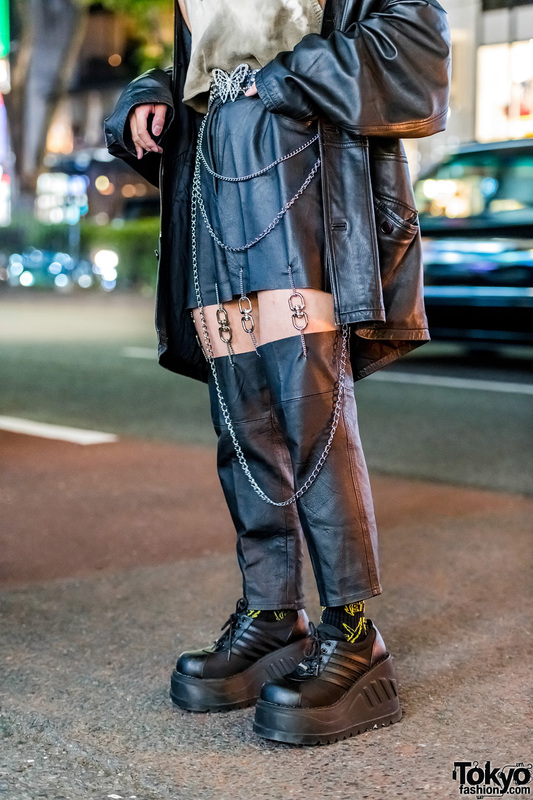 Accessories from Faith Tokyo, Warp, and Harley Davidson completed his ensemble. Eiji’s favorite fashion label is Gucci, while his favorite musical artist is Pentagon. He is also active on both Instagram and Twitter.